Director M. Night Shyamalan is known for his twist endings, and 2017's "Split" ended on a doozie. It turned out that the movie, which featured an antagonist named Kevin (James McAvoy) with 24 distinct personalities, one of which was a kill-happy Beast, took place in the same world as 2000's "Unbreakable," wherein David Dunn (Bruce Willis) discovered he was a superhero destined to one day battle supervillain Elijah Price (Samuel L. Jackson), a mass murderer with a brittle bone disorder that earned him the nickname "Mr. Glass." 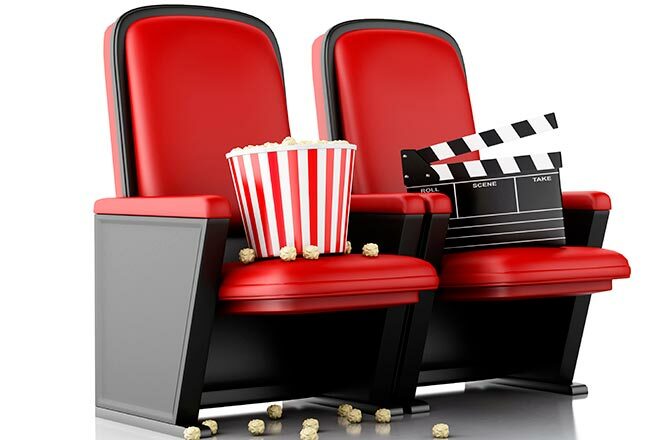 Now the highly-anticipated crossover film has arrived, and while nobody excepts it to be a spectacle on par with the Marvel or DC superhero movies, is it too much to ask that it not be so super-dull? The film opens with David foiling a pair of petty thugs, and immediately something seems off. Not only do the two boneheads talk about posting a video of their crime online in dialogue that sounds like it was written by somebody who has just now heard of the concept of posting videos online, but they get their comeuppance in an unsatisfying way off-screen. And don't give me that "power of suggestion" excuse, Shyamalan was just too cheap to give us a proper exhibition of David's powers. David goes on to battle Kevin in Beast mode, and this fight we actually do get, but it's underwhelming. The sequence ends with both David and Kevin getting thrown in a mental institution, along with a third individual who also believes he has superpowers. Who could this mysterious person with Samuel L. Jackson's voice in this movie called "Glass" possibly be? The trio are under the care of Dr. Ellie Staple (Sarah Paulson), a psychiatrist who wants them to confront their delusions of grandeur about having superpowers before being lobotomized. To her, everything they've done has a rational explanation, usually along the lines of "the steel was old, that's why you were able to bend it." Mr. Glass has the opposite goal, to show the world that superheroes exist, even in the case of his sworn enemy David. He and Kevin hatch a plan to escape and launch a public attack on a fancy new skyscraper, and David is invited to show up and stop them, provided he can use his powers to escape. The problem is that this movie doesn't have showdown-at-a-skyscraper money, so we have to settle for a brawl in the hospital parking lot. Glass, David, and Kevin each have a supporter who think Dr. Staple is wrong. 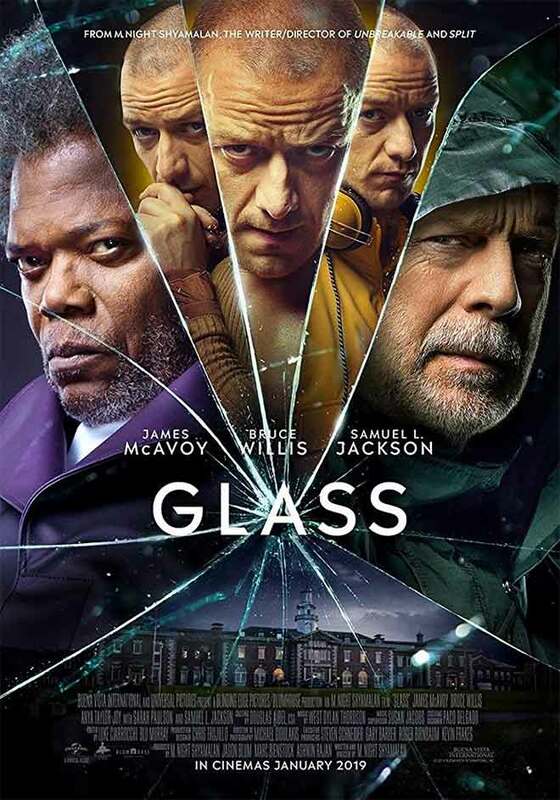 Glass has his mother (Charlayne Woodard), David has his son (Spencer Treat Clark), and Kevin has a would-be victim (Anya Taylor-Joy) who wants to preserve the friendlier personalities, though I'd say it's probably for the best that he be put down entirely, along with Glass. These characters (and David, to an extent), know that Dr. Staple means well, but trying to make sense of the extraordinary can only lead to bad things from the characters' extraordinary abilities, which they definitely possess. The twist(s) at the end of "Glass" are predictable and lame, though I would have been disappointed by anything that didn't involve bringing more Shyamalan movies into the equation (does the ability to See Dead People count as a superpower?). It's a letdown, just like the rest of the movie. Willis and Jackson are sleepwalking through their roles, McAvoy is too silly to stir up the emotions he wants, and Shyamalan can't direct a compelling action sequence to save his life. "Glass" is the first big franchise release of 2019, and if this is an indication of what's to come, then I have a bad feeling that this year isn't going to shatter any records. "Glass" is rated PG-13 for violence including some bloody images, thematic elements, and language. Its running time is 129 minutes.